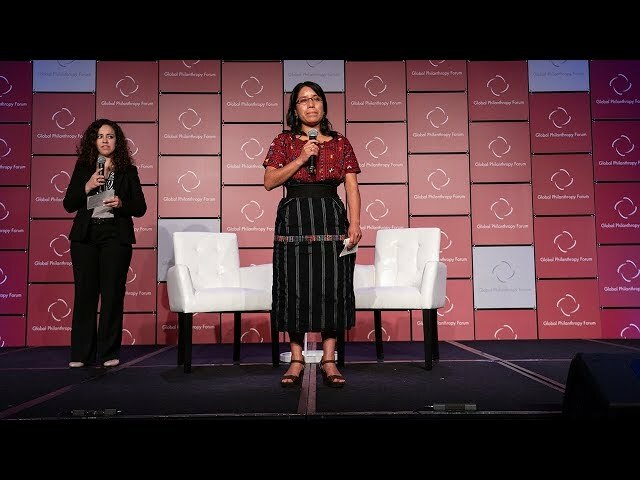 Rosa Coj Bocel is a young Mayan woman who has become a globally recognized voice for women’s rights. Forced to drop out of school in the sixth grade to support her family, she never gave up hope — overcoming abject poverty and personal tragedy to fight for a better future. In Guatemala, only one in four indigenous girls are still in school by age 17. Coj Bocel is now the first person in her community of Peña Blanca to go to university. She’s in her third year of nursing school and hopes to open a clinic to help her community. She is also the star of the award-winning films, Living on One Dollar and Rosa – These Storms, has been profiled by NPR on their list of “Women Changing the World”, and was even recognized by Melinda Gates on social media.